Cottage pie is pretty great, if you ask us. It’s toasty, savoury, and totally melt-in-your-mouth tasty. Even though it can be enjoyed any time of year, feasting on it during the cold weather is the perfect way to warm your tummy and spirit. But where did this gift-of-a-dish come from? Well, let’s see. In a sense, the origins of cottage pie are shrouded in mystery. That is, we don’t exactly know who created it. Did they do it intentionally? Was it a mistake? Who knows! What we do know is that the term “cottage pie” was first used around 1791, when the potato was starting to be regarded as an affordable, edible crop in England and Ireland. Perhaps it was only a matter of time before someone figured out that a meaty-potato-laden dish was filling, sustainable, and inexpensive. Some folks wonder how cottage pie differs from its cousin, shepherd’s pie. Well, that is a legitimate question and the answer is, “not much!” In fact, the only distinguishing factor between them wasn’t even made clear until the 20th century. You ready for it? Well, cottage pie contains beef or mutton while shepherd’s pie is made of lamb. I bet that just changed your world. Anyway, prior to this period, cottage pie and shepherd’s pie were basically one-in-the-same and contained, “cold, dressed meat of any kind, roast or boiled,” according to The Practice of Cookery and Pastry (1854). 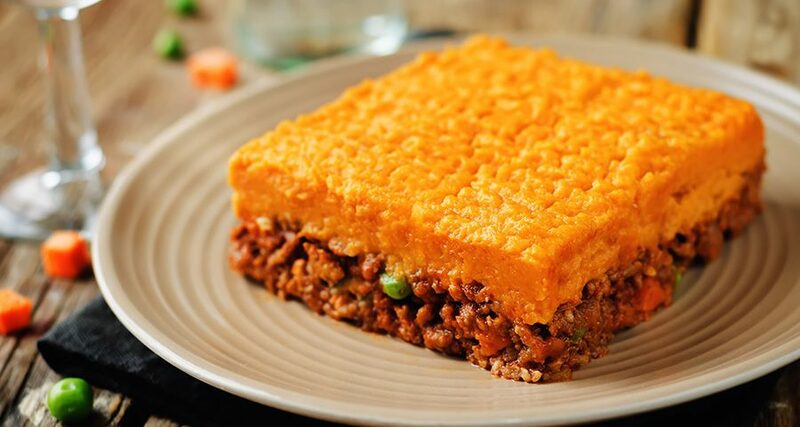 Since its creation, cottage pie has become a staple of households on both sides of the Atlantic. It’s a cozy little thing and as you might’ve noticed, its history is equally as modest as its disposition. But that doesn’t stop it from being one of our favourties, especially as the snowflakes begin to fall. Stop by any time and dig in!